I was making cookies and went to grab the brown sugar and realized I was out. I had some molasses on hand, so I decided to make my own! It couldn't be simpler. It only requires two ingredients! 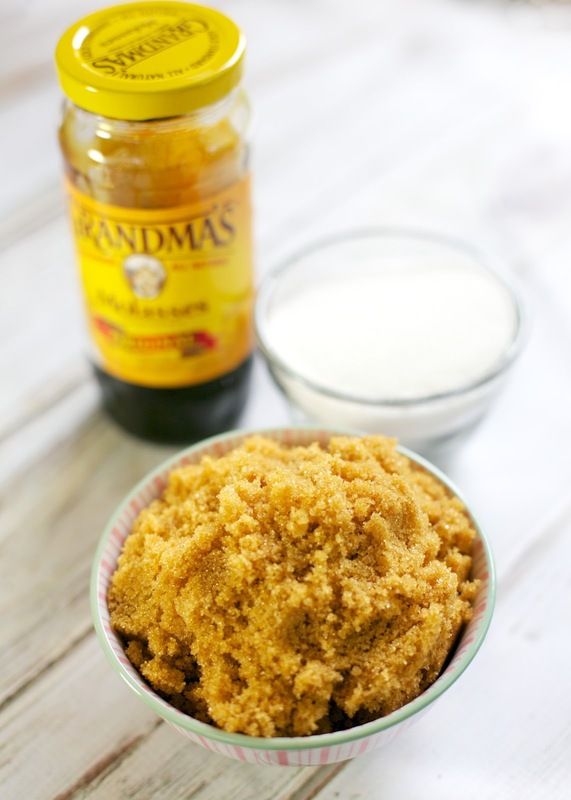 This made light brown sugar. Just add more molasses if you want a darker brown sugar. I mixed this together by hand and it took less than 5 minutes. If you don't want to mix it up by hand, you could also use a mixer. I had a half made batch of cookies in my mixer, or I probably would have used the mixer. I plan on making a big batch and not buying it in the store anymore. 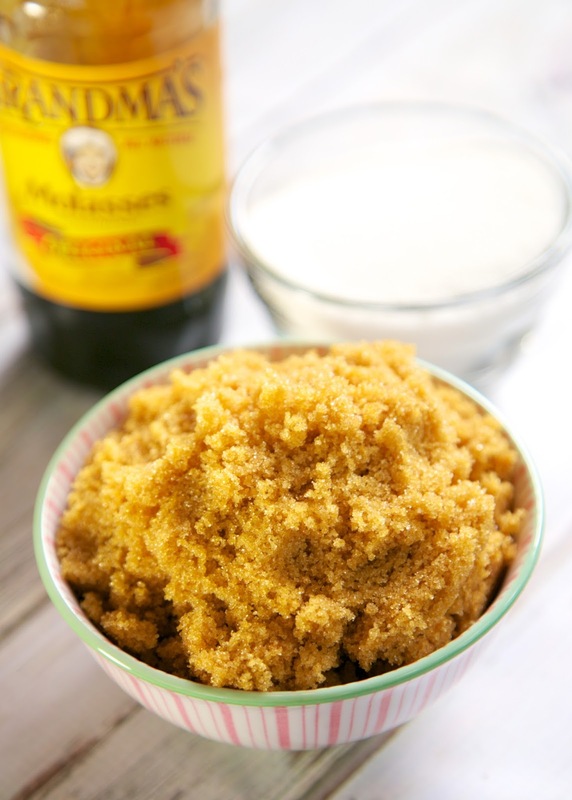 Mix together sugar and molasses until all the molasses is incorporated into the sugar. Store in an air-tight container. I usually use Splenda...wonder if this would work? Thoughts on this? awesome idea-I never knew you could do this!!!!!!!!!!!! Thanks for sharing! Huh! I thought the liquid in the molasses would've gummed up the sugar. Thanks! I've been doing this for a while and I love it! You get much better flavor and it's so easy to do. I use a fork to get the worst of it taken care of then I'll transfer it to a ziploc bag, zip it up and finish mixing it by hand. It's a great stress reliever! I usually do a double batch, keep it in a ziploc bag and a storage container with a good seal. We're in a really dry environment so it dries out super fast. Also, I only use 1 Tbsp of molasses to 1 cup of sugar and it turns out just as good.